ONE MORE WEEKEND! DON’T MISS IT! Click here to read Russ Bickerstaff’s review. O.O.T. examined life in its entirety – from birth to death. Modern anxiety was manifest on stage through the drama’s deep, honest vignettes in which people struggled to make decisions, pacify regret, understand the universe, and live with one another and themselves…. Throughout the performance, the balance between deep introspection and humor, the empathy evoked by the characters, the actors’ delivery and the nuanced, coherent vignettes were captivating. Click here to read Jennifer Reinke’s review. We have three more shows, Thursday May 17 at 7:30, and Friday-Saturday May 18-19, at 8pm. Theatre Gigante dives into the dark and funny wreck of life with O.O.T., opening tonight, Friday May 11, at 8pm. For tickets, call 414-229-4308, or online, click HERE. The opening night performance will be followed by a reception in the lobby. The show continues its run Saturday May 12 at 8pm, and next weekend, Thursday May 17 at 7:30pm, and Friday and Saturday, May 18 and 19, at 8pm. 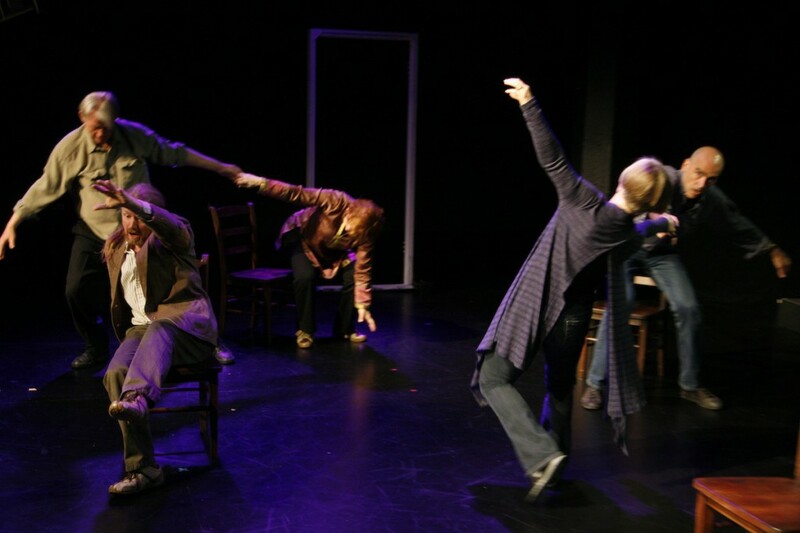 Performances take place at UWM’s Kenilworth Studio 508, 1925 E. Kenilworth Place. Last year while working on ISADORA & NIJINSKY, we asked Ed Burgess if he’d like to create a full-length piece for Theatre Gigante’s 2011-12 season. He said yes, and as time went on, he would occasionally tell us his evolving ideas for the show. 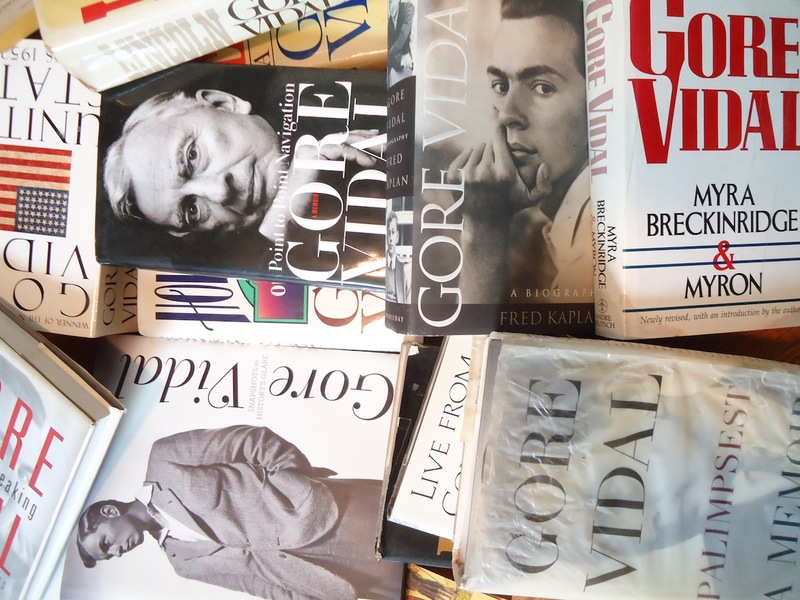 His latest idea had been to create something about Gore Vidal, one of Ed’s favorite thinkers/writers (later, Janet Lilly gave us Ed’s collection of over 20 books by Vidal). Ed died just three days after we closed ISADORA & NIJINSKY. 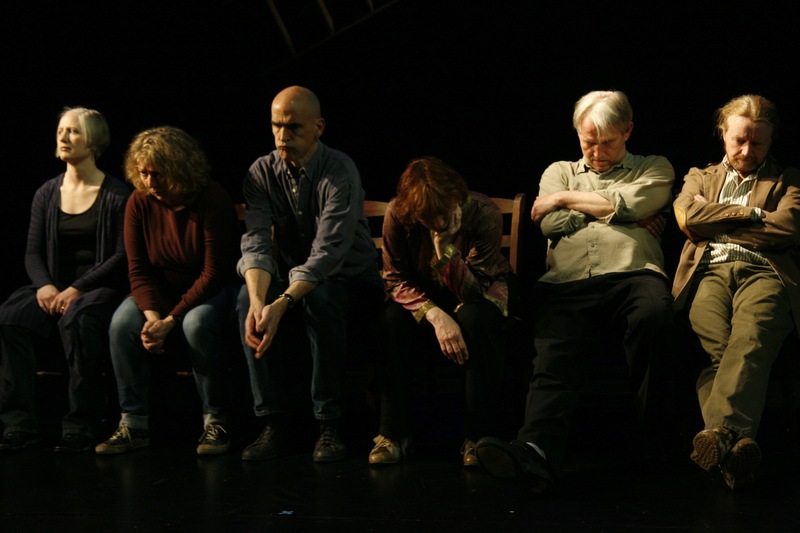 The 2011-12 season began with SHADES OF GRAY, our homage to Spalding Gray, and in the aftermath of the loss of Ed, we needed to come up with a show for the second half of the season. 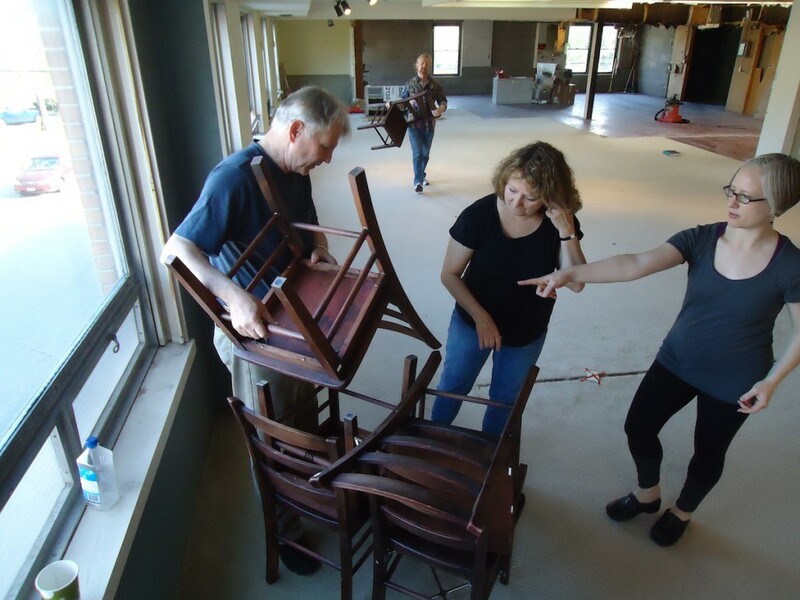 Among Spalding’s great stories is the tale of a particularly memorable evening playing the Stage Manager in Thornton Wilder’s OUR TOWN, during Act 3, which is set in the local cemetery. Remembering OUR TOWN, Act 3, and thinking about our dear Ed, we had the idea to create a new show, inspired by Wilder, and very much dedicated to Ed. In O.O.T., we celebrate the challenges and joys of life, and give a nod to both Thornton and Ed. And we didn’t notice, until recently, that our opening night is the first anniversary of Ed’s death.